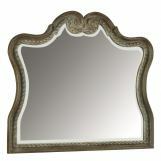 Elegant style with romantic designs and ornate detailing. 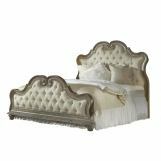 The Arabella Bedroom Collection has distinct style with details that make a statement. 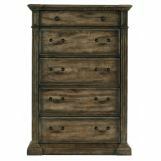 With many options to complete your bedroom, Arabella brings great function and design. 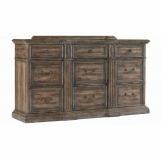 The collection is constructed from pecan veneers and select solids with a rustic aged finish. 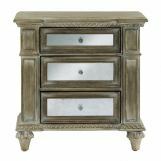 Rosette carvings, detailed moldings, framed drawers and reeded pilasters give each piece a unique, sophisticated look. The Arabella Bedroom Collection brings a level of luxury to your bedroom that will be with you for years to come.